I am hardly in Marikina by choice so a trip to this part of Metro Manila is special. I had beach plans for one weekend in April but those plans were foiled because of the weather. My cousins and I decided to hit Marikina and exercise after. 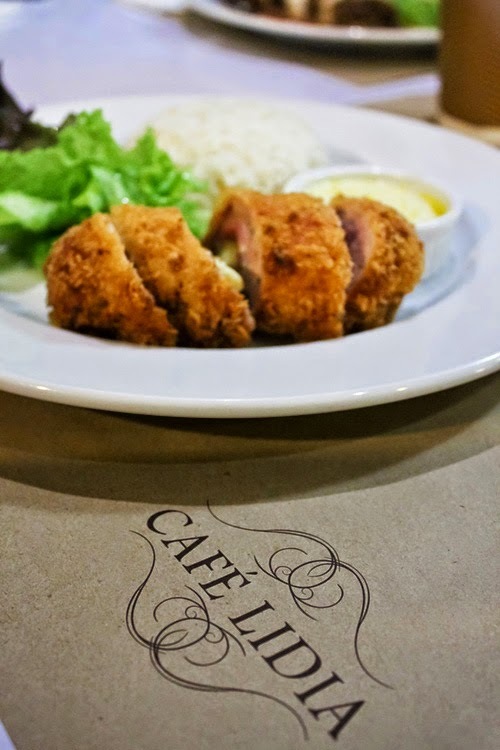 When I was thinking of a Marikina-only restaurant, Cafe Lidia immediately came to mind. 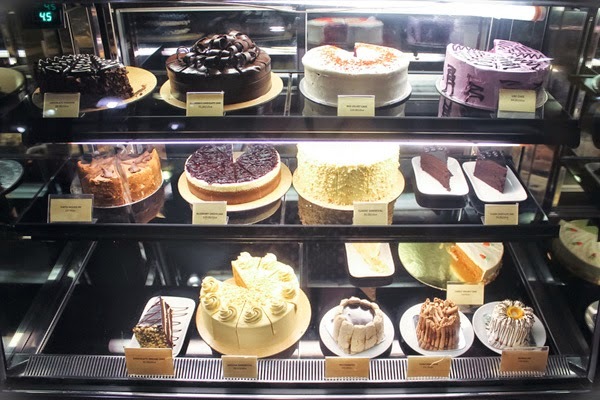 It is famous for their desserts and coffee. My Marikina and Quezon City based friends recommended it and so did my sister Rissa who loved it. Would I love it as much as they did? 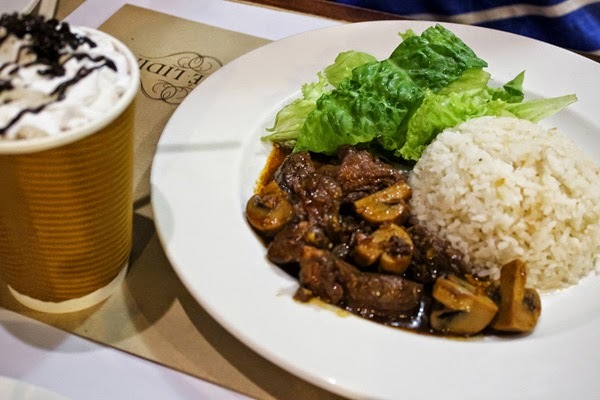 Cafe Lidia’s version was good but unfortunately I’ve tried better Salpicao in the past. It didn’t taste like Chicken ala Kiev at all. When I cut through the chicken, I expected deliciously evil butter to ooze out but it didn’t. This chicken dish tasted more like a cordon bleu dish. As Chicken Kiev, it was disappointing. 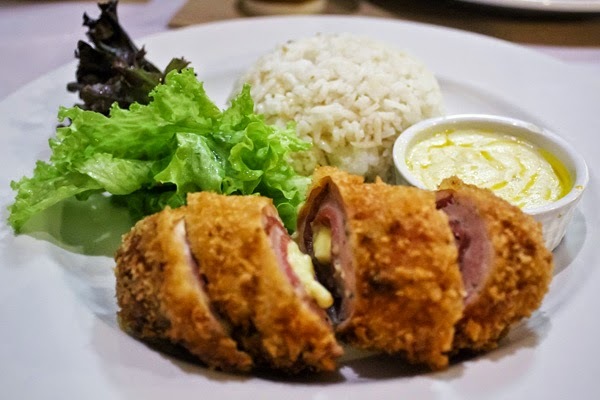 As Chicken Cordon Bleu, the chicken was crunchy with every bite. The saltiness of the ham with the cheese and chicken combined well. I usually write about the drinks at the start of the entry but for Cafe Lidia, I saved the best for last. My favourite part of the trip to Cafe Lidia was this drink. 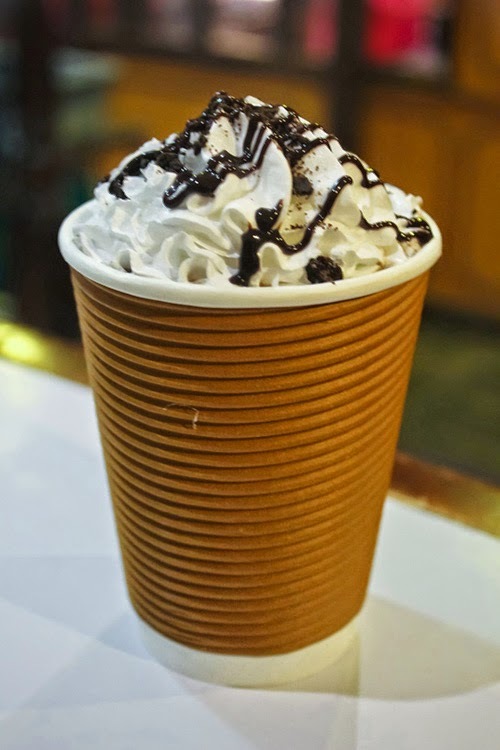 The Mocha Cookie delivered a fantastic blend of thick and luscious mocha and cookie goodness. It felt more like a shake than a coffee drink. In Paola’s words, “This is better than Starbucks”. It truly was! Paola loved it so much she ordered a drink for herself. This frizz leans more on the caramel side. 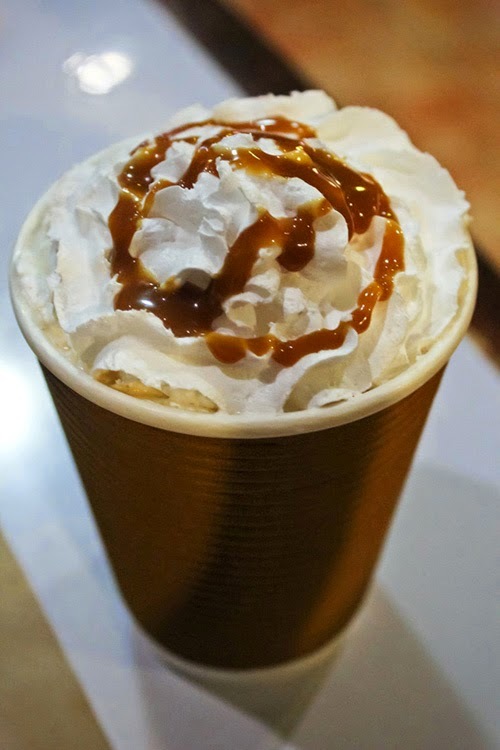 It tasted just like any iced coffee with caramel and paled in comparison to the Mocha Cookie Frizz. Poor Coffee Caramel, if we didn’t have the Mocha Cookie version I think the Coffee Caramel would have rated higher. It was considerably thinner than the Mocha Cookie Frizz as well. Its consistency was more liquid-y than shake-ish. The dishes we ordered were a good 7.5 while the Mocha Cookie Frizz was a perfect 10. 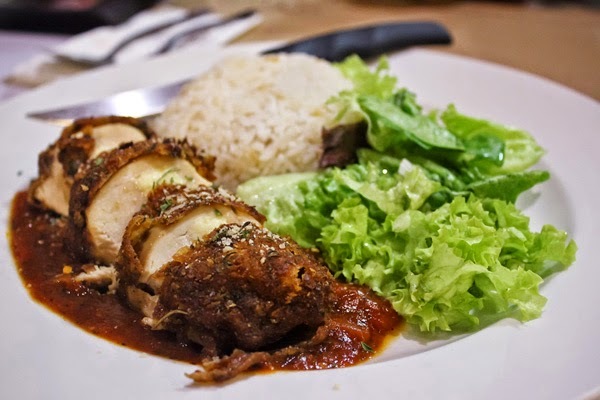 Even though Cafe Lidia’s food rated lower, I would undeniably go back. It was challenging to pick a dish from their extensive menu and I would love the opportunity to come back. I didn’t even have space for dessert so a revisit is a must!